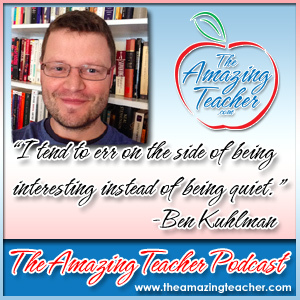 In this episode of the Amazing Teacher Podcast, I sit down with Ben Kuhlman. Ben has a website called, Writing Teaching and Teaching Writing. Reading his blog posts, I was particularly impressed with his knowledge of Twitter. 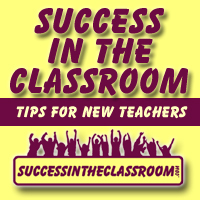 I have come to learn that if a teacher wants to be amazing in the classroom, he/she needs to connect with successful teachers and learn from them. Twitter allows teachers to do just that. I asked Ben to share his expertise in this area, and I learned a lot. I know you will as well. Ben also shares his insights on the qualities of amazing teachers as well as his tips on classroom management. I had a great time picking Ben’s brain on the podcast. I know you will find his advice valuable and practical.